Permitting assistance can significantly reduce compliance costs and keep projects moving forward. As a leader in the wastewater industry, we regularly assist clients with a wide range of permitting issues associated with the construction of wastewater treatment plants and associated infrastructure, including everything from the application to potential legal challenges to permit provisions. On the technical side, these issues include items such as pilot testing emerging technologies to help facilitate the issuance of construction permits. 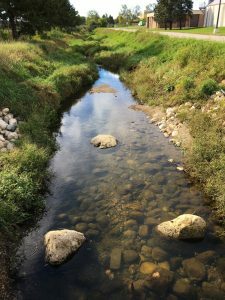 On the environmental side, permitting spans a wide range of issues, including site stormwater discharge, erosion control, spill prevention, and construction of pipelines and outfalls in jurisdictional waterways and wetlands. Our experience with the national pollutant discharge elimination system (NPDES) permit renewal process includes review of existing permits and available data, application preparation and review, recommendations for necessary additional analysis as part of the renewal process, preparation of variance requests, and survey of commercial and industrial dischargers for chloride, phosphorus, and mercury. Our approach to the permit process provides facilities with the necessary technical assistance to help obtain a permit that is fair and consistent with adopted statutes or administrative codes. Our permitting assistance services have resulted in significant monitoring, capital, or operating cost savings for our clients. At a minimum, our services often result in longer compliance schedules and deferred compliance costs. Contact us for more information about our Permitting Services.